7th July ’12 – Andy B Events were pleased to be involved in the wedding party of Jeff & Anja Keep at the Victoria & Albert Marriott in Manchester city centre. They had hired our most experienced wedding DJ Ged for their evening reception playing from 7pm till midnight. They had also hired 20 uplighters to set the mood & help create that special atmosphere. We just wanted to say a massive thank you to you both for making our wedding day that extra special. The up-lighters were phenomenal and really transformed the hotel into a very special place. 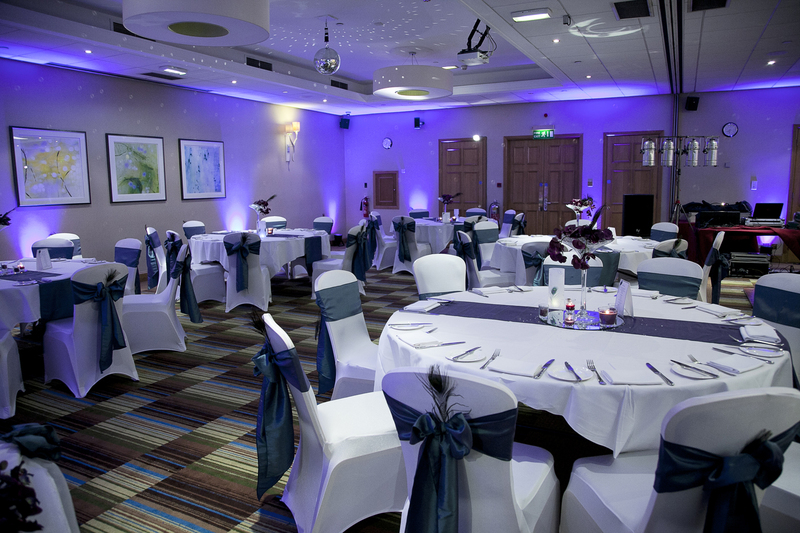 As a guide, our wedding discos in Manchester city centre start from £275 covering playing times of 7.30pm till midnight. Additional time is charged at £30 per hour (or part thereof).